Brunch in your luxury apartment is the perfect way to celebrate Mother’s Day! 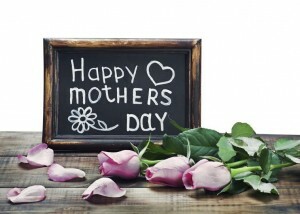 If Mother’s Day is poised to sneak up on you this year, as it does for many others, worry not. Even in an apartment, you can provide your mother with a delightful brunch to start her Mother’s Day celebration off on the right foot. You might think throwing a brunch with more than a guest or two would be tough even in a luxury apartment, but with some personal touches and a bit of planning, your mom will be feeling adored this Mother’s Day. The focal point of any brunch, regardless of the occasion, is the food. No matter what you make, your mom will be appreciative that you took the time to create something special just for her. If you’re a first time chef, keep it simple and delicious, but try to stick to your mom’s favorites. Decide whether to keep it classic with some pancakes, or spice it up with some chorizo and eggs. Pair Mother’s Day breakfast with your mom’s favorite morning beverages, like bloody Mary’s, mimosas, or even chocolate milk. Remember that the brunch is about your mom, and try to keep your food and drink selections to her favorite items. Your luxury apartment is probably perfectly decorated to match your style, but for this Mother’s Day, try and dress it up to your mom’s tastes. If your mom likes things a bit classy and traditional, set up a beautiful table with simple tablecloths and elegant flatware. You don’t have to go all out, but consider setting out vases of your mom’s favorite flowers, and delighting her with pops of her favorite colors throughout the room. This will show that you really pay attention, and convey your serious appreciation. Mother’s Day is all about family and fun so don’t hesitate to invite your mom’s friends, your siblings, or other members of the family. The more the merrier, so long as you’ve got the room and enough food. Keep the atmosphere bright, and add to it with some appropriate music. Consider creating a playlist of some of your mom’s favorite songs to ensure that she is the center of attention all the way through your Mother’s Day brunch. This entry was posted on Sunday, May 3rd, 2015	at 11:47 pm	. Both comments and pings are currently closed.